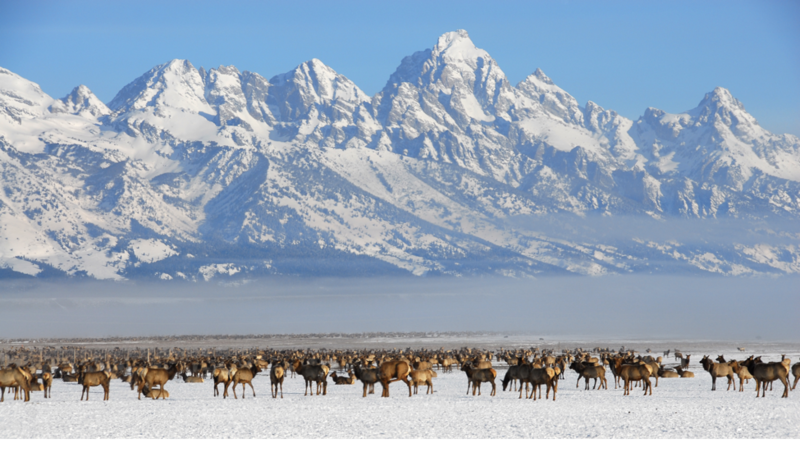 If you’re contemplating where to go for a winter vacation this season, you may want to consider Jackson Hole, Wyoming. As one of the most popular destinations for Magellan Jets travelers, Jackson Hole has everything you could want and more in a winter retreat. The Teton and Gros Ventre mountain ranges surround the valley of Jackson Hole, making the area very scenic and a beautiful attraction for tourists. The town has an Old West feel with many activities for all. Jackson Hole is home to several ski and snowboarding areas, including the Jackson Hole Mountain Resort, Snow King Mountain, and Grand Targhee Resort. All of these skiing resorts offer something unique to those who enjoy spending their days on the slopes. If skiing isn’t your thing, try a snowshoe hiking tour through Grand Teton National Park. These one of a kind tours offer an inside look at the nature and landscapes that surround Jackson Hole. Snowshoers will get up close and personal with the Greater Yellowstone ecosystem and there is no prior experience necessary. With Old Faithful being only a 90 minute drive from Jackson, it is worth a visit during your trip. Snowmobile tours to this historic geyser serve as a unique way to travel to the landmark. Wild bison, bald eagles, elk, and moose are most likely to be encountered during the tours, which run from December 15 – March 15. For a more relaxing activity, take a horse-drawn sleigh ride through the National Elk Refuge and see thousands of elk up close. The ride only lasts about an hour but offers unforgettable sights and an inside look at the natural habitats. These tours run daily from December 17th – April 2nd. Scenic aerial flight tours of the mountains and rivers throughout the valley are available as well. With several flight tour variations, there is something for families, couples, and thrill seekers who want to see the mountains from the sky. Other thrilling activities such as paragliding over snowy mountains, heli-skiing, hot springs, and dog sledding are available in Jackson Hole. Don’t let another winter go by without visiting this scenic valley in Wyoming.